A Wrap Ring makes a perfect birthday, anniversary or ‘just because’ gift. No matter the occasion, you’ll light up your best friend, mother, daughter or sister’s day with our glistening gemstones. They also make great additions to a gift basket or bouquet of flowers. Every now and then an extra accessory is a great surprise, and nothing feels more glamorous than receiving jewelry. If you have a Sterling-Silver-string-fling you’ll jumpstart your friends’ love for wrapping- not stacking. Wrapping is even more fun with a friend, and the linked string that wraps around your finger symbolizes a bond that cannot be broken. Did we mention that the August birthstone is Peridot? Our rings made with Swarovski Green gemstones, such as the Anne or Emma, would make a lovely birthday present this month! Update their collection of birthstones with a little more frosting. Even if you’re a significant other, these will make great promise ring or trinket of affection. Did, you know that there are different gemstone gift suggestions for every wedding anniversary? These popular play pals can go anywhere with you and your friends. Each one of our rings are crafted with 925 Sterling Silver so will not wither away, even when your gal pals go out to paint the town red! With back-to-school season approaching, these gifts will also make amazing friendship rings! That means colder weather is approaching, but don’t fret; you can layer up with Wrap Rings galore. 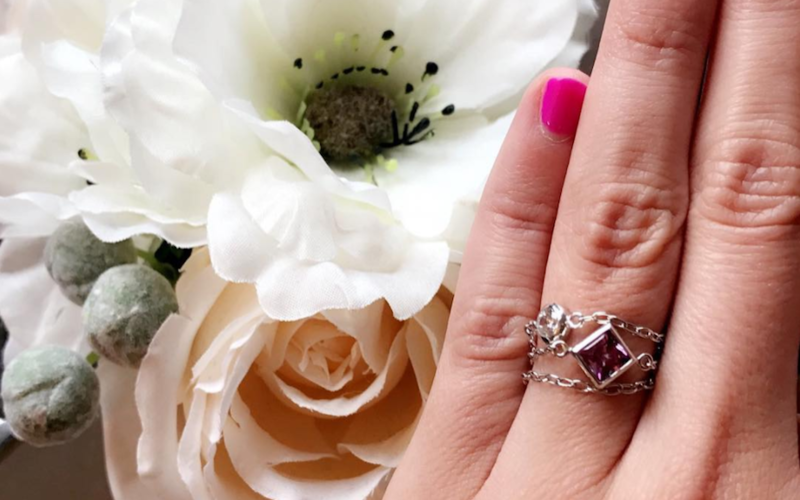 Not only are the rings amazing, you and your gal pal will receive perfectly packaged rings in a versatile, compact jewelry box; it’s like a gift during every purchase. Let’s not forget the expression, #TreatYoSelf, I mean we live in the era of self-expression, self-care, and, what is more important than self-love!? This week, we celebrated #NationalRelaxationDay and heard that many customers were buzzing on treating themselves to an assortment of accessories and treatments. Don’t forget to encourage your friends to subscribe to our newsletter so they can also receive VIP tips and trinkets.